The pieces were recorded in the museum, and some include the sounds from the museum such as the clocks and the birds outside, and no attempt has been made to disguise the sounds of the pianos pedals. The sound of the piano is not of the smoothest, and has an atmospheric feel which has quite an acoustic tang to it with a great deal of resonance. The result has the feel sometimes of a prepared piano. Ni Riain's music does not attempt to recreate the sort of music Anne Bronte might have played in the 1830's and 1840's but she has written music which is contemplative and which takes great advantage of the sound quality of the piano. 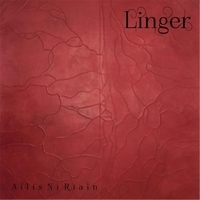 Ni Riain has clearly relished that fascinating challenge of writing for a piano whose mechanism is so much part of its sound. There is sense of notes being placed and the sound being relished. Played on a modern piano it probably has a low key effect, with hints of minimal. But combined with the sheer timbral qualities of the piano, the way placing down each note has a very strong effect, makes the music all the more fascinating and a lovely combination timbres. in Double-dyed scoundrel with both him and Ni Riain hinting at some striking jazz influences in the music. Repining, with Kelly Jayne Jones's flute, is more contemplative and melancholy as its title implies. Safe at last is a lovely blues-number with the expressive voice of Tasmin Archer. For the last piece on the disc, Courage to dive for, Ailis Ni Riain is joined by some of the instrumentalists for a long thoughtful piece which weaves themes from the disc into a long, serious, meditative whole. The pieces flow into each other and comment on each other, so that you can listen to this as a satisfying continuous whole. This is music to be listened to intently, from beginning to end perhaps in a darkened room to bring out the real atmosphere. There are films about the project and about the restoring of the piano on Vimeo. 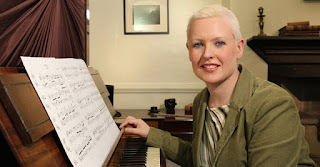 Ailís Ní Ríain plays the Brontë piano from Ailís Ní Ríain on Vimeo. The album is available to download from the CD Baby website.